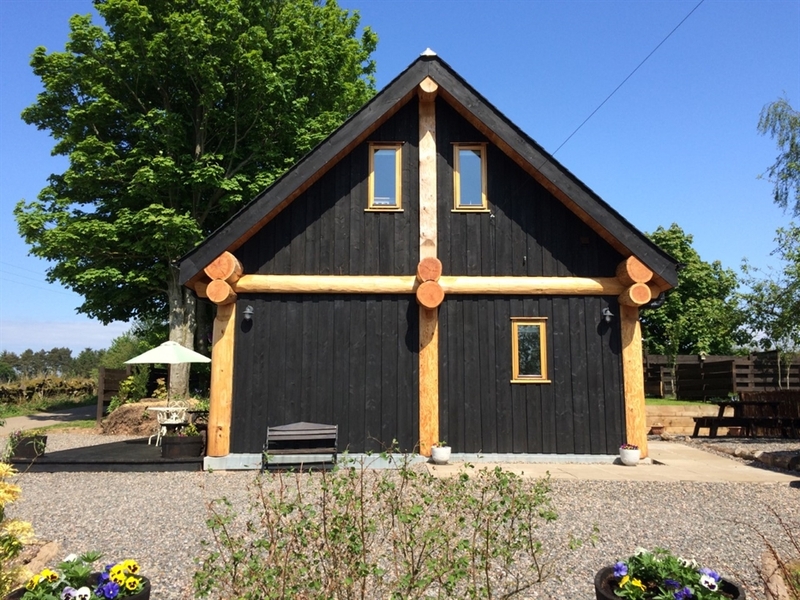 A unique traditional post and beam log cabin built with Scottish Douglas fir trees. 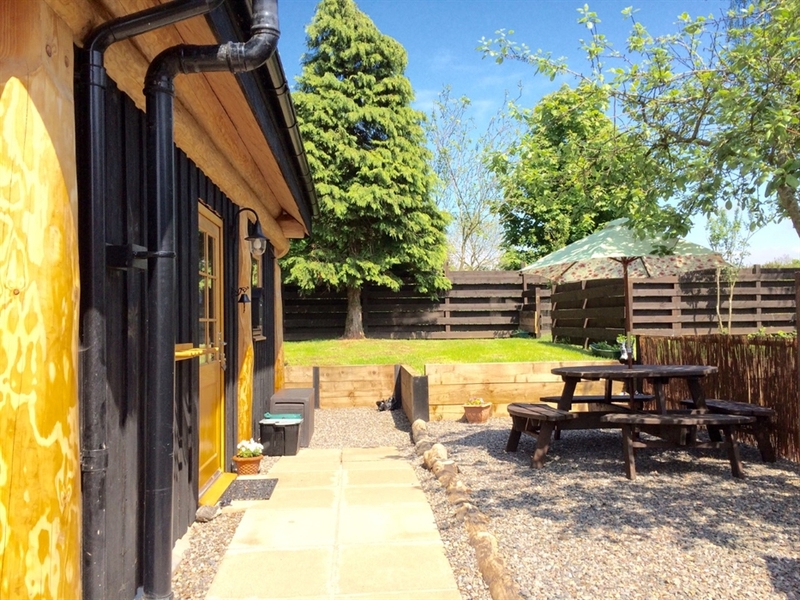 Rowanlea Lodge is located on the border between Angus & Aberdeenshire with glorious countryside views towards the Cairn 'O' Mount. The perfect peaceful location to relax and unwind. 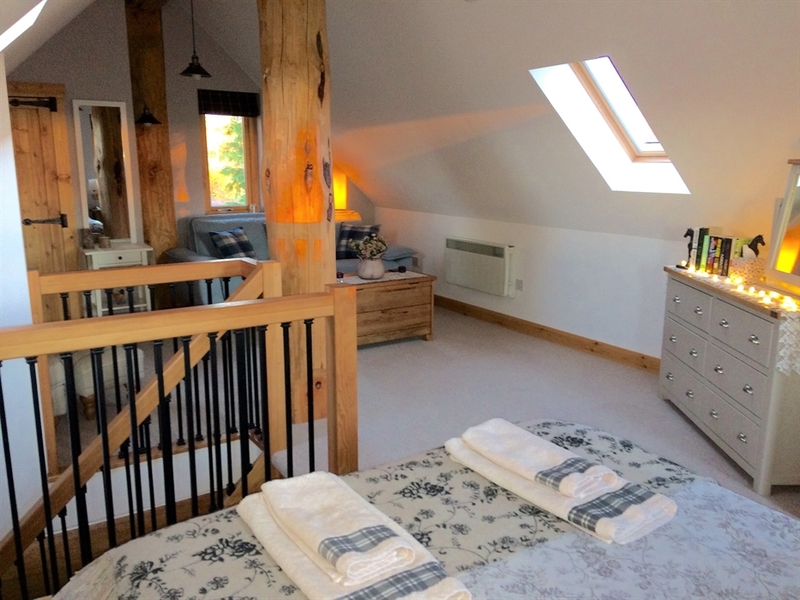 We offer a luxury interior with high quality furnishings and a cosy wood burner. 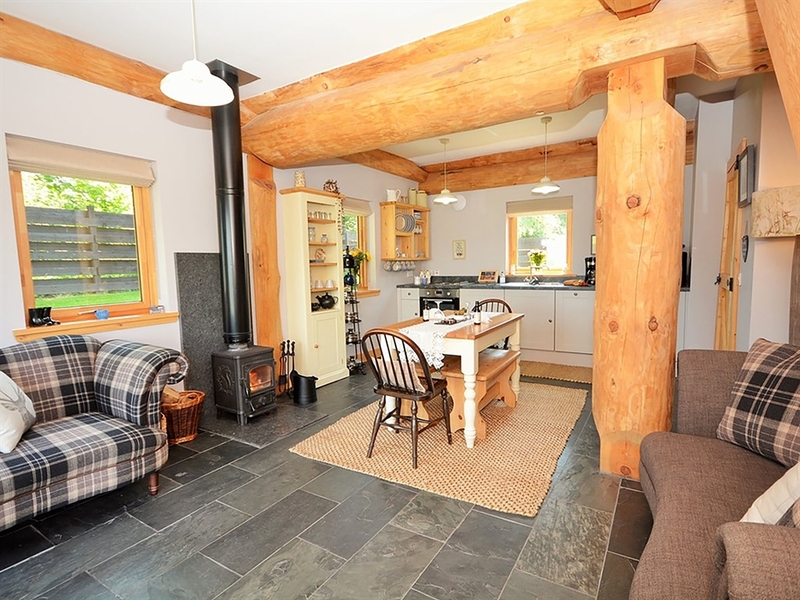 There is an open plan living/kitchen area with double patio doors opening out onto the decking facing west. The perfect place to relax with a glass of wine until the sun sets. A smart tv, dvd player and an Ipod dock is provided for entertainment on a cosy night in. 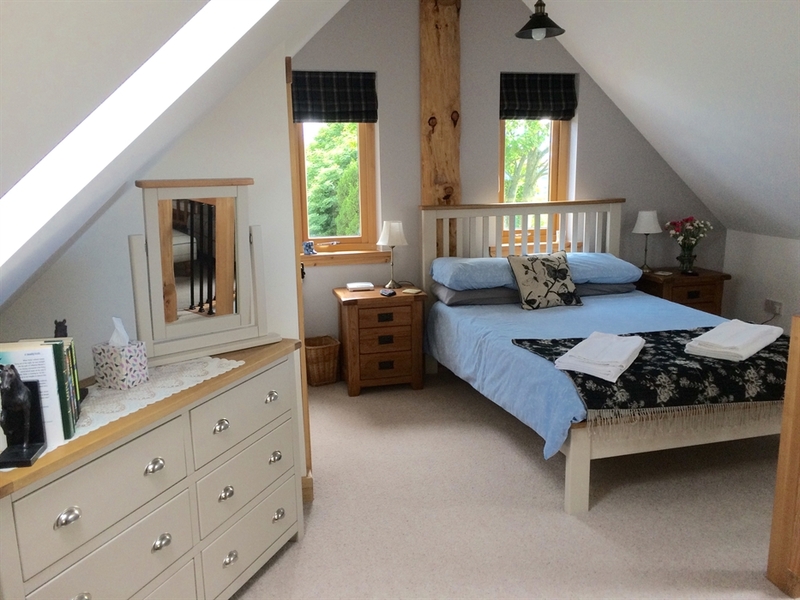 There is a double bedroom furnished in Harris tweed and a shower room on the ground floor. 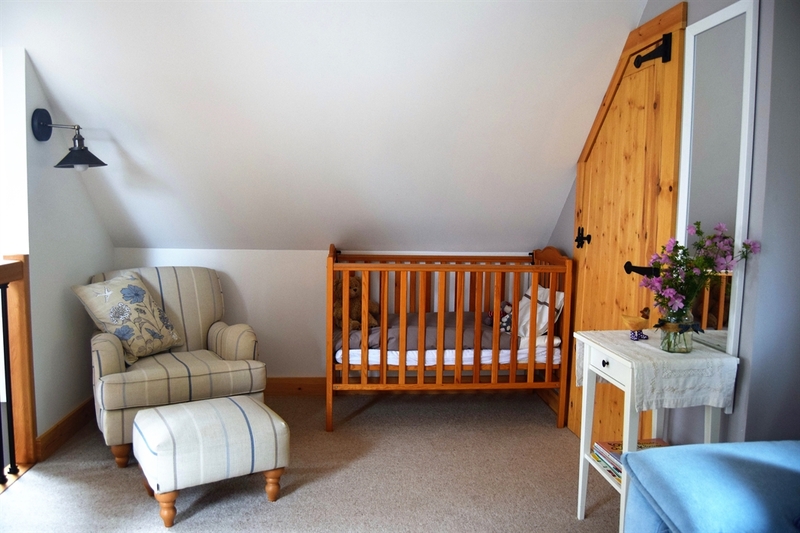 The upstairs double bedroom is bright spacious and has a seating area which can be used as a double sofa bed. A welcome pack is in the cabin with information about local places of interest, events taking place and where to eat out. A food hamper is provided for all guests which includes local Scottish produce for breakfast to help get your stay off to a great start. What is provided for you. Breakfast hamper sourced from our local farm shop. All linen & towels. Luxury Orkney soaps, free from animal testing. All kitchen essentials are provided. 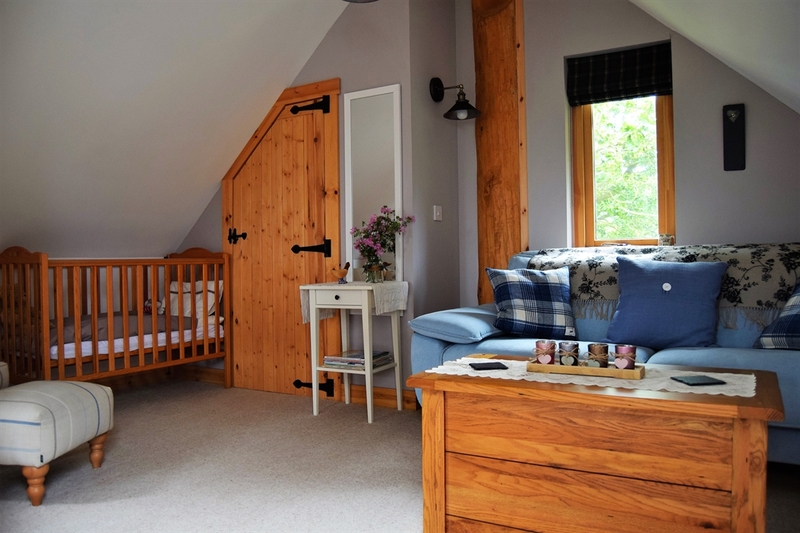 The Cabin is a short walk from the North River Esk famous for salmon and sea trout fishing. Places of interest we recommend visiting during your stay. Fettercairn distillery one of Scotlands oldest malt whisky distilleries. Brechin castle center provides a variety of activities for families including nature trails, miniature railway and model farm. 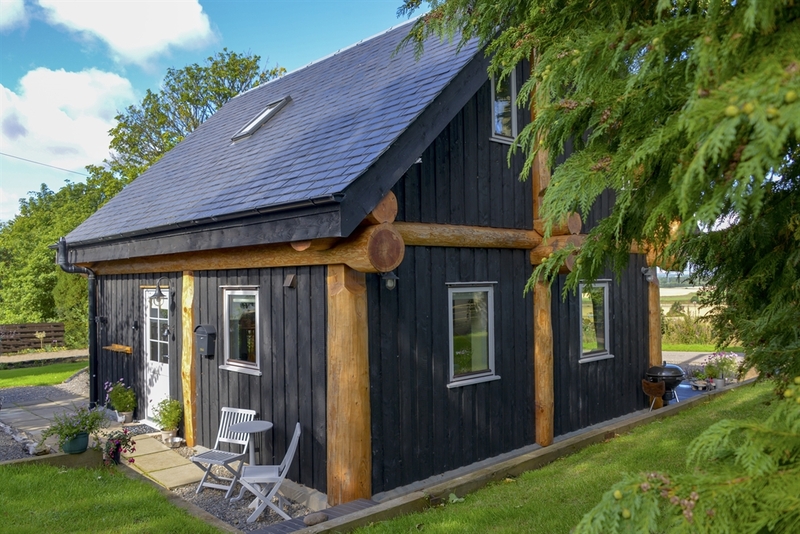 The cabin is located ten minutes from the coast where you will find Lunan Bay one of the most beautiful beaches in Scotland, popular with surfers and horse riders. Montrose Basin home to thousands of migratory birds including pink-footed geese, common terns, knots and sedge warblers. Also St Cyrus beach, a nature reserve renowned for its grasslands, rare flowers and butterflies. 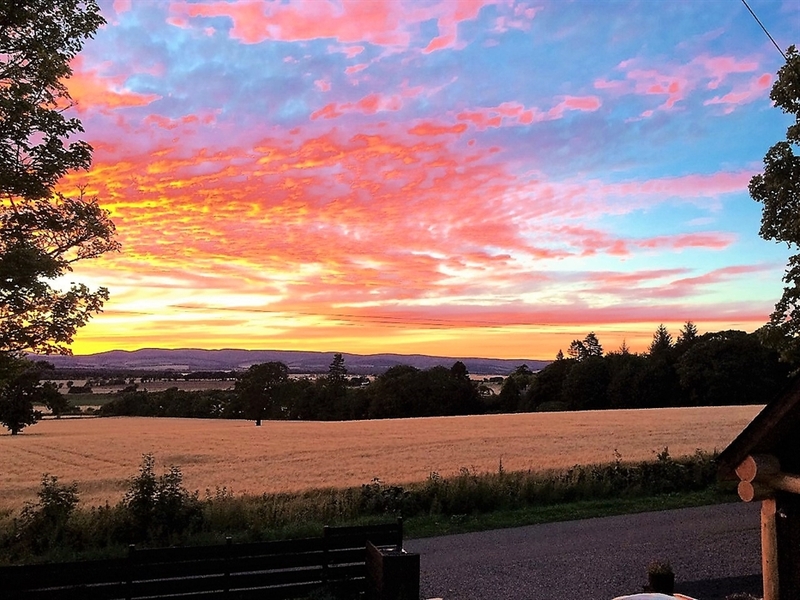 Cairngorms National Park is approximately 40 miles from the cabin with beautiful mountains, forest paths, rivers, lochs, wildlife hotspots, a perfect day out. 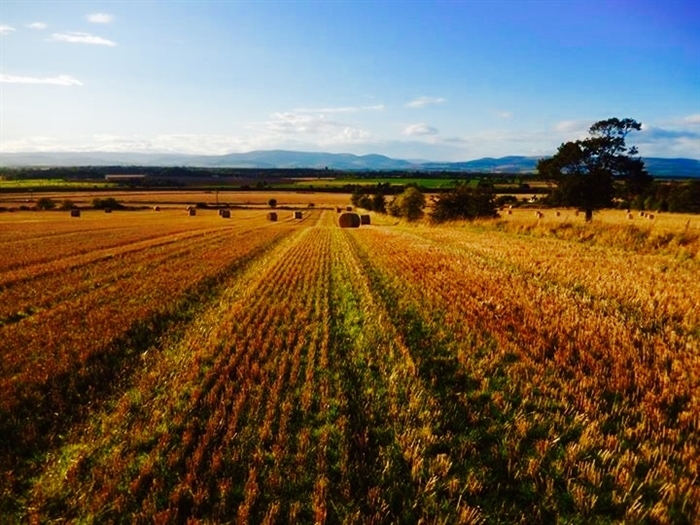 The Angus Glens are great for walking where you will see some amazing views, an abundance of wildlife and get a taste of rural Angus. For those that like castles and gardens there is Glamis, Crathes and Dunnotar castle, also the famous Balmoral castle a little further away. Langley Park gardens, Dunnaid Castle gardens and Lady Augusta Erskine's walk at House of Dun. The popular coastal town of Stonehaven is a 20 minute drive with many sea food restaurants and of course famous for the fire balls at New Year, a trip to Auntie Betty's is a must for an ice cream. Montrose is a ten minute drive where you will find many shops, supermarkets cafes a post office and chemist. There is a lovely bistro farm shop a mile away at Balmakewan for a nice lunch and delicious home bakes. Do visit our local pub just a short walk from the cabin, a former coaching Inn built in the 1800's with a beer garden serving food daily and pet friendly too. If you feel like a cozy night in after a day exploring why not order a take away and they will deliver for a small charge. There is so much to see and do around this beautiful part of Scotland, you won't want to leave. 10% discount applies to full week bookings during off peak season.